This delightful book by Gina Claye was typeset by Oxford eBooks for print in 5×8″ paperback. 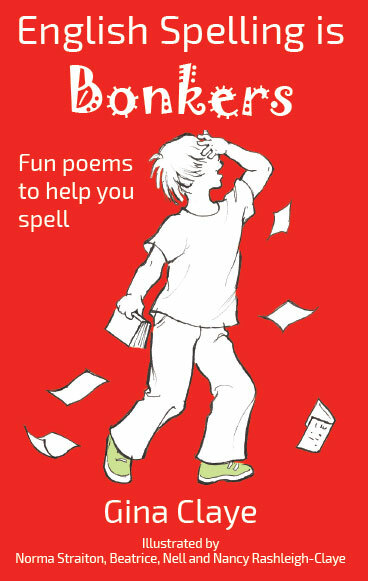 We used the original manuscript and sketches provided by the author to make a fun, entertaining and educational book for children learning some of the more peculiar spelling idiosyncrasies of the English language. This was a fun project to work on as are all original works that are done in direct collaboration with the author. We also designed and managed the printing of colour stickers to be used as part of the advertising campaign for this book.